One of Photoshop’s most powerful and underrated features is the ability to organize your design in layers. Using layers makes it easy to remove and adjust elements in a non-destructive manner. In the Tools panel, select the Rectangular Marquee tool (or use the keyboard shortcut M). Right click anywhere on the canvas and select Free Transform. You should see a bounding box appear around the layer you want to resize. Hover over one of the corners of the layer, hold down the Shift key to maintain aspect ratio, and drag the corner in our out depending on whether you want to make the image smaller or bigger. You can also hold down the Alt key if you want it to maintain the same center point. Hit Enter when you’ve got it resized how you want it. You can also resize by percentage. After selecting Free Transform, rather than using the bounding box to resize your image, just change the percentage of the width or height in the menu that appears at the top of Photoshop. Make sure that the width and height dimensions are linked with the maintain aspect ratio button highlighted in the screenshot below. If you want to prevent multiple layers from changing independent of one another, you can merge them. Of course, once you merge layers, you can’t separate them easily, particularly in a complex design. Select the layers you want to merge by holding down the Command (Mac) or Control (Windows) key and clicking on the layers. If you’re selecting consecutive layers, you can hold down Shift instead. Right click any of the selected layers and select Merge layers. If you want to merge all the layers in your image, you don’t have to select any of the layers. Just right click any layer and select Flatten image. 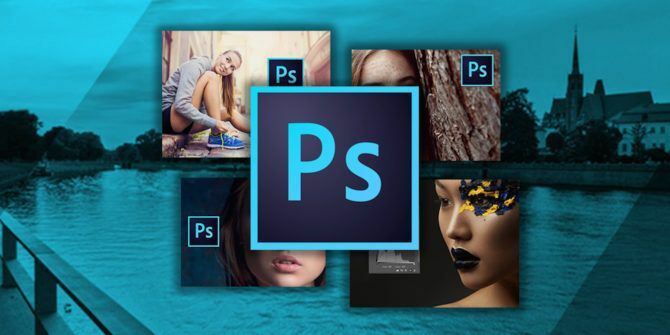 What are your favorite tools or tips for getting the most out of Photoshop? Let us know in the comments. Explore more about: Adobe Photoshop, Image Editing Tips.